According to codex.wordpress.org/Introduction_to_?Blogging , "Blog" is an abbreviated version of "weblog,". 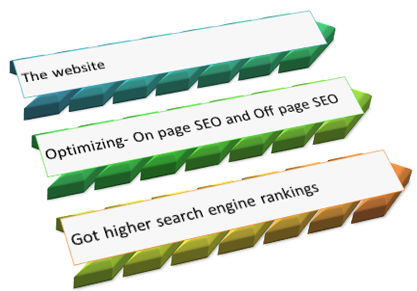 It is used to describe web sites that maintain an ongoing chronicle of information. The main components of blogs? Long tail Search engine optimization is very easy to understand but need an hour or two to use use it appropriately. For that you should create a blog and need to include long tail keywords as meta tags in the blogger template. Use a variety of keywords is what the blog need, for that you should spend maybe an hour or two a week for 6 months. Then you can shift it an hour in a month while reviewing the website's SEO reports and figuring out which new keywords to go after. There are bloggers who posts about 5 to 10 posts a day but wait for another month to publish another. This results in weak SEO results. You need to publish about 4 articles a week by targeting one keyword per article or blog post. Feedburner is good site from Google which gives some good and efficient way to interact with visitors. They can subscribe your new posts by just giving mail id. So using it well can increase your site active presence. Think about 500 people who want read your new post. There are people who just surf around Google.com or Yahoo.com without any active involvement at all. So you need to get their attention by spreading the posts all around the internet. You can use Facebook.com, Twitter.com, Technorati.com and other social networks. Start with commenting here. Knowledge is power. So increase your knowledge by reading posts, ebooks and journals related your keywords and niche. You will not get a lot of visitors at the very first time when you blog about something unless you do something crazy. You can get the traffic rate to your site by analyzing Alexa Rank. Such traffic won't be consistent. So organic growth is what your blog need which means slow, steady, continual growth. Just observe how plants grow. Yes, just like the way plants and animals grow.